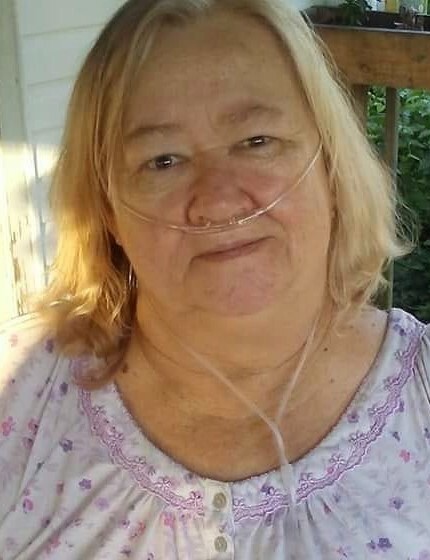 Sheila K. Ruggles, 65 of Wheelersburg died Wednesday, April 3, 2019 at SOMC Hospice. She was born December 10, 1953 in Portsmouth to the late George Franklin and Mary Jean Ward Parker. Along with her parents, she is preceded in death by a daughter, Robbin Ann Holland and 2 brothers; Ron Parker and Chris Parker. She was a former clerk at B&B Loan and Speedy Mart, loved fishing and playing Yahtzee. Sheila is survived by her husband, Ray Ruggles, 2 sons; Jason Holland and Anthony Payne, 3 daughters; Vickie Smith, Lori Osborne, and Lisa Crace, 13 grandchildren, 2 great grandchildren, a stepdaughter, Kay Ruggles, 2 stepsons; Danny Ruggles and Mark Ruggles, a brother, Todd Parker, and her dog, Ginger. Funeral services will be 2:00 PM Saturday, April 6, 2019 at the Roger W. Davis Funeral Home in West Portsmouth with Mike Simpson officiating. Friends may call at the funeral home starting at 12 PM noon. Condolences may be sent to www.rogerwdavisfuneralhome.com.